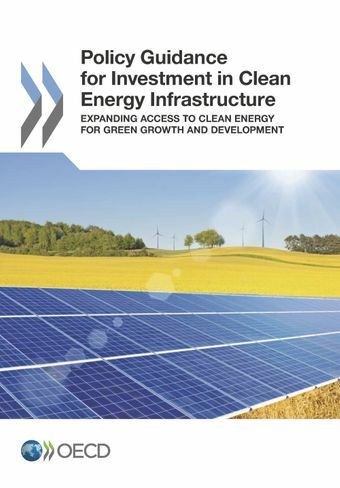 This publication provides governments with guidance on the policy options that are available to make the most of private investment opportunities in clean energy infrastructure, drawing on the expertise of climate and investment communities among others. It identifies key issues for policy makers to consider, including in investment policy, investment promotion and facilitation, competition policy, financial markets, and public governance. It also addresses cross-cutting issues, including regional co-operation and international trade for investment in clean energy infrastructure.